Editor’s note: Below is Thomas Joscelyn’s testimony to the House Committee on Homeland Security’s Subcommittee on Counterterrorism and Intelligence on al Qaeda’s expansion into Egypt and the implications for US homeland security. If you wish to view the testimony with footnotes included, download the PDF by clicking here. Chairman King, Ranking Member Higgins, members of the committee, thank you for inviting me here today to discuss al Qaeda’s presence in Egypt. The uprisings throughout the Muslim world that began in late 2010 and early 2011 brought hope to millions of people. Al Qaeda did not instigate these revolts, but in the years since the group has exploited the security vacuums created in their wake. Even though al Qaeda has long disagreed with the Muslim Brotherhood’s approach to politics, sometimes vehemently so, the group did not call for jihad against Morsi or his government. Instead, most of post-Mubarak Egypt became a land for proselytization. In “Egypt and Tunisia, the opportunities have opened up for preaching [but] only Allah knows how long they will last,” Zawahiri said in an August 2011 message. “Therefore,” Zawahiri continued, “the people of Islam and jihad should benefit from them and take advantage of them to report the clear truth and make the Ummah come together around the primary issues that no Muslim can dispute.” Accordingly, from early 2011 through the middle of 2013, Zawahiri’s henchmen and allied jihadists set up organizations to spread al Qaeda’s ideology. They preached in Tahrir Square, appeared on national television, and openly operated in a country where they had once been hunted and harassed by security services. In some respects, however, the Sinai was different. 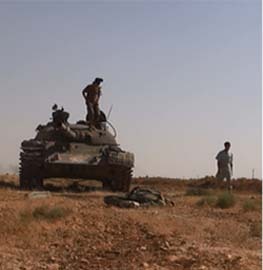 The jihadists saw it as a new front for confronting Israel and a base for their operations. Various al Qaeda-linked or inspired groups grew. When Egyptian security forces conducted counterterrorism raids, they became viable terrorist targets. Indeed, al Qaeda’s leaders repeatedly condemned Egypt’s military even prior to Morsi’s ouster. When Morsi was deposed in early July 2013, the landscape changed once again. No longer was the Islamist regime, which al Qaeda saw as doomed to fail, in power. Al Qaeda has consistently portrayed the Egyptian military as a servant of an imaginary Zionist-Crusader conspiracy, making the government a legitimate target for jihad. Egypt continues to pose of a variety of counter-terrorism challenges and threats to American interests. I address several of these areas of concern in my testimony today. Al Qaeda likely has “core” leaders inside Egypt today. 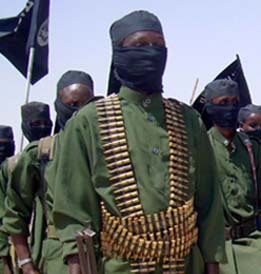 During and after the 2011 uprisings, senior jihadists allied with al Qaeda were freed. Others returned from abroad, including from Iran, which offered Egyptian jihadist leaders a form of safe haven for years. Not all of these jihadists returned to terrorism, but some influential jihadists did. The September 11, 2012, protest in front of the U.S. Embassy in Cairo, which turned into an all-out assault, was instigated by “old school” jihadists who are part of al Qaeda’s network and were freed after Mubarak’s fall. After President Mohamed Morsi’s regime was overthrown, the military and security forces re-arrested a number of senior jihadist figures. However, some likely remain active and may hold leadership roles in new al Qaeda-allied terrorist organizations. The Muhammad Jamal Network (MJN), which was established in 2011, is an international threat and part of al Qaeda’s network. One of the “old school” Egyptian Islamic Jihad (EIJ) jihadists released from prison in 2011 is Muhammad Jamal, a longtime subordinate to Ayman al Zawahiri. Despite Jamal’s re-imprisonment in late 2012, the MJN remains active today in the Sinai, mainland Egypt and elsewhere. The MJN clearly operates as part of al Qaeda’s international network and has ties to terrorists in Europe. Some of its members participated in the September 11, 2012, terrorist attack in Benghazi, Libya. Egyptian authorities have alleged that the MJN was connected to an al Qaeda plot against Western embassies and other interests in Cairo in 2013. There is strong evidence indicating that al Qaeda in the Arabian Peninsula (AQAP), which is headquartered in Yemen, is operating in the Sinai. This is an important development because AQAP has repeatedly attempted to attack the U.S. homeland since 2009 and is increasingly managing al Qaeda’s assets far from its home base of operations. The head of AQAP, Nasir al Wuhayshi, is the general manager of al Qaeda’s global network. The Sinai Peninsula has become home to multiple al Qaeda actors, as well as al Qaeda-inspired groups. Osama bin Laden’s former doctor is reportedly a senior al Qaeda leader in the Sinai today. Several groups proclaiming their allegiance to al Qaeda have emerged in the Sinai since 2011. Ansar Jerusalem (Ansar Bayt al-Maqdis), the most prolific Sinai-based jihadist organization, is pursuing al Qaeda’s agenda. Al Qaeda’s leader, Ayman al Zawahiri, has repeatedly praised the group’s attacks. Ansar Jerusalem shares al Qaeda’s ideology, employs al Qaeda’s tactics, and routinely refers to and praises al Qaeda’s leaders in its statements. There is much we do not know about Ansar Jerusalem’s operations, but a growing body of evidence suggests it is tied to al Qaeda’s international network. The Muslim Brotherhood, or at least elements of the organization, may have already turned to violence. The overthrow of Mohamed Morsi’s regime was an “I told you so” moment for al Qaeda. The organization’s senior ideologues have long argued that an Islamist regime would not be allowed to rule Egypt. Brotherhood members are certainly disillusioned following Morsi’s ouster, and al Qaeda may, therefore, be more appealing to them. We know that groups such as Ansar Jerusalem are already poaching from the Brotherhood’s ranks. Egyptian officials have leveled a number of allegations against the Brotherhood, saying that it is deeply involved in supporting terrorist activities. These allegations may be false and designed to further delegitimize the Brotherhood at home and abroad. However, some of the allegations are specific and can, therefore, be either verified or rejected. During the Brotherhood’s brief reign, Morsi and others did cooperate with jihadists in some ways. This entire subject is murky and requires more analysis. Finally, it is worth stressing that al Qaeda views the Sinai as a base of operations for fighting an imaginary “Zionist-Crusader” conspiracy. That is, al Qaeda sees the Sinai as a launching pad for attacks against both American and Israeli interests. Today, Israel faces more of a challenge from jihadists allied with al Qaeda than ever before. This threat comes not just from the Sinai, but also from other countries, including Syria. Below, I have divided the rest of my written testimony into three sections. In the first section, I outline how key al Qaeda leaders (including “core” members) became active in Egypt following the revolution. Some of them are still active to this day. In the second section, I give a brief overview of the leading al Qaeda-linked organizations in the Sinai. In the third and final section, I look at Ansar Jerusalem more closely, demonstrating that the organization is clearly pursuing al Qaeda’s agenda. For decades, the main terrorist challenge to the Egyptian government came from the Egyptian Islamic Jihad (EIJ) and Gamaa Islamiyya (IG), two groups that were allied with al Qaeda and responsible for high-profile attacks on both Egyptian leaders and civilians. The EIJ was headed by Ayman al Zawahiri and merged with Osama bin Laden’s venture prior to the September 11, 2001, terrorist attacks. While some IG leaders renounced violence from behind bars in Egypt, others did not and remained loyal to al Qaeda. Longtime IG spiritual leader Sheikh Omar Abdel Rahman, a.k.a. “the Blind Sheikh,” remains a popular figure in jihadist circles two decades after his imprisonment in the U.S. Under Hosni Mubarak’s regime, many EIJ and IG leaders were imprisoned. Some avoided confinement by staying abroad, either in Afghanistan-Pakistan, Iran or elsewhere. After Mubarak’s fall, dozens of EIJ and IG leaders were freed from prison. Still others returned to their home country, where they were suddenly acquitted of longstanding terrorism charges. One such key al Qaeda leader is Mohammad Islambouli, the brother of Anwar Sadat’s assassin. Islambouli lived in Iran for years after 9/11. While living in Iran, he was a part of an IG contingent that formally merged with al Qaeda. In fact, Islambouli’s ties to al Qaeda leadership go back decades. His importance can be seen in the limited number of documents released from Osama bin Laden’s compound in Abbottabad, Pakistan. In one document, dated October 20, 2010, bin Laden stresses the importance of protecting Islambouli, who had apparently evacuated northern Pakistan (after leaving Iran) for Kunar, Afghanistan. “He should be informed of the nature of work and he should be consulted on things that are being discussed,” bin Laden writes, in reference to some ongoing projects. An earlier document, dated March 28, 2007, is addressed to an individual known as “Adnan Hafiz Sultan,” who is also referred to as the “maternal uncle.” The latter phrase (“maternal uncle”) is al Qaeda’s coded reference for Islambouli. If this letter is addressed to Islambouli, and it certainly appears that it is, then its contents show how Islambouli is a part of al Qaeda’s senior leadership and he has been involved in managing the group’s operations in Iraq and elsewhere. After returning to Egypt, Islambouli was reportedly freed by an Egyptian military court in 2012 despite having been convicted of terrorism charges in absentia decades earlier. It is not clear where Islambouli is today, or if he has been re-arrested. But Islambouli’s re-emergence demonstrates how an Egyptian al Qaeda leader, important enough for bin Laden to protect, suddenly found his home country to be hospitable once again. And Islambouli was not the only IG member turned senior al Qaeda leader to return from abroad in 2011 and 2012. In addition, a contingent of EIJ leaders loyal to al Qaeda’s leader became especially active inside Egypt after their release from prison. They were led by Mohammed al Zawahiri, the younger brother of Ayman al Zawahiri. Until he was re-arrested in 2013, Mohammed al Zawahiri used the permissive environment following the fall of Mubarak to proselytize, often under the banner of “Ansar al Sharia Egypt.” This group was established by one of his former EIJ comrades, Ahmed Ashush. 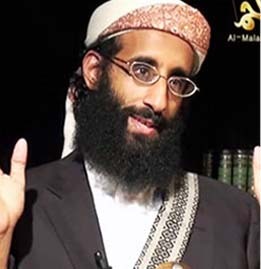 In interviews, Ashush proclaimed his allegiance to al Qaeda, saying that he was “honored to be an extension of al Qaeda.” Although Mohammed al Zawahiri spent much of his trying to win new converts for al Qaeda’s ideology, he likely returned to terrorist operations and was in contact with his brother as well. Mohammed al Zawahiri was one of the chief instigators of the September 11, 2012, protest in front of the U.S. Embassy in Cairo. The protest turned into an all-out assault on the compound, with the stars and stripes being ripped down and replaced by al Qaeda’a black banner. The protest-turned-assault was a pro-al Qaeda event from the first, with protesters openly praising Osama bin Laden and al Qaeda. I have identified at least three other senior al Qaeda-linked jihadists who helped spark the protest: Tawfiq Al ‘Afani, ‘Adel Shehato, and Rifai Ahmed Taha Musa. Al ‘Afani and Shehato are longtime EIJ ideologues and leaders. Shehato has since been re-arrested and charged with leading the so-called Nasr City Cell, which had multiple ties to al Qaeda. Rifai Ahmed Taha Musa once led the IG and was a close confidante of the Blind Sheikh. He was very close to Osama bin Laden and Ayman al Zawahiri. He even signed al Qaeda’s 1998 fatwa declaring the formation of a “World Islamic Front for Confronting the Jews and Crusaders.” The CIA considered Taha Musa to be such an important terrorist that he was tracked down in Syria, where he was detained and deported to Egypt in late 2001. Dozens of other senior al Qaeda-linked jihadists either returned to Egypt or were freed from prison following the revolution. This raises several concerns going forward. First, these jihadists were able to build up their operations with only occasional interference from security forces for approximately two years. They likely established terrorist cells and played a role in establishing some of the groups now based in the Sinai. Second, while some of these leaders have been re-imprisoned, there are unconfirmed reports that top jihadists such as Mohammed al Zawahiri and Muhammad Jamal continue to communicate with the outside world from prison. Others remain free. Third, al Qaeda’s senior leadership is filled with Egyptians (including Saif al Adel, an al Qaeda leader still wanted for his role in the 1998 U.S. Embassy bombings), who know their home country well and have thick roots in the jihadist scene there. This gives al Qaeda’s leaders a clear opportunity to leverage their historical ties with any jihadists who remain free. The Sinai has long been plagued by terrorism, among its many other problems. But since the ouster of Mohamed Morsi there has been a stunning increase in the violence. As my colleague at the Foundation for the Defense of Democracies David Barnett has documented, there have been more than 300 reported attacks in the Sinai from July 3, 2013 through February 6, 2014. This violence has spilled over into the mainland, as Sinai-based groups are increasingly executing high-profile attacks in Egypt’s densely-populated urban areas. There are credible reports of contacts between terrorists in the Sinai and al Qaeda’s senior leadership. In late July 2013, Ayman al Zawahiri joined a “conference call” of more 20 al Qaeda operatives around the globe that included “aspiring al Qaeda affiliates operating in the Sinai.” Zawahiri’s contact with the Sinai jihadists reportedly prompted the closing of the U.S. Embassy in Tel Aviv. Other U.S. diplomatic facilities around the globe were closed because of the possibility of an impending terrorist attack. There are unconfirmed reports of handwritten communications from Zawahiri to terrorists in the Sinai. Egyptian security officials have alleged that the interrogations of terrorist suspects have revealed ties between the Sinai jihadists and “groups which operate in Afghanistan and Pakistan, as well as other countries not just Gaza.” As I discuss more below, Muhammad Jamal, who established training camps in the Sinai, was in direct contact with Zawahiri. Several al Qaeda-inspired and/or al Qaeda-linked groups operate in the Sinai today. These include Ansar Bayt al-Maqdis (Ansar Jerusalem), Al Qaeda in the Sinai Peninsula (AQSP) and Ansar al Jihad, the Muhammad Jamal Network (MJN), the Mujahideen Shura Council in the Environs of Jerusalem (MSC), Al Salafiya Al Jihadiya in Sinai (Salafi Jihadist Movement in the Sinai), and al Tawhid wal Jihad, among others. In addition, al Qaeda in the Arabian Peninsula (AQAP) has established a presence in the Sinai. Untangling this web of groups is extremely difficult, if not impossible. There is collusion between at least some of these groups. And it is possible that some of these organizations overlap, sharing a common infrastructure while operating under different names. In this section, I provide a brief overview of four of these organizations, before moving on to a longer treatment of Ansar Jerusalem. These five organizations are the most operationally relevant. In late July 2011, masked gunmen attacked a police headquarters in Arish and a gas pipeline. By some accounts, approximately 100 terrorists were involved in the attack. During the initial arrests, 10 Palestinians were identified as being among the attackers. Shortly after the assault, a statement was issued by a group calling itself Al Qaeda in the Sinai Peninsula (AQSP). The statement called for the creation of an Islamic emirate in the Sinai. AQSP also called on the Egyptian Army to disregard the Camp David Accords and to end the “siege” in Gaza. The reported emir of AQSP, which has been blamed for a string of attacks, is Ramzi Mowafi, Osama bin Laden’s former physician. Mowafi is believed to be an explosives expert and to have worked on chemical weapons for al Qaeda. 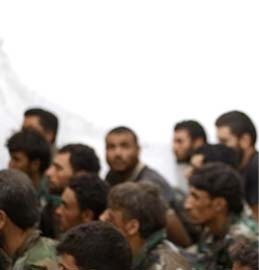 Mowafi is another example of the phenomenon of “old school” jihadists returning to the fight. Another group calling itself Ansar al Jihad in the Sinai Peninsula is believed to be the military wing of AQSP. Ansar al Jihad announced its formation in December 2011, saying it vowed to “fulfill the oath” of slain al Qaeda leader Osama bin Laden. Ansar al Jihad swore allegiance to al Qaeda emir Ayman al Zawahiri the following month. I find it curious that more attacks have not been claimed by AQSP and Ansar al Jihad. It is possible that the group is working in concert with one of the other jihadist organizations in the Sinai. Muhammad Jamal, who was first trained by al Qaeda in the late 1980s, was released from prison in 2011 and quickly got back to work. Jamal, who has long been a subordinate to Ayman al Zawahiri, became so prolific that his operation was eventually designated by both the U.S. government and the United Nations. Those designations make it clear that that the MJN operates as part of al Qaeda’s international network. The State Department revealed that Jamal has “established links with terrorists in Europe.” In addition to al Qaeda’s senior leadership, the MJN has strong ties to al Qaeda in the Arabian Peninsula (AQAP) and al Qaeda in the Islamic Maghreb (AQIM). Jamal was re-arrested in late 2012. Egyptian authorities discovered on a seized laptop that he had been communicating directly with Ayman al Zawahiri. Jamal mentions in the letters that he sent an emissary to meet with Zawahiri after he was blocked from traveling abroad. Jamal claims to have trained several Yemenis who went on to form AQAP and says that AQAP has provided financing for his operations. Jamal writes that he has established training camps in both eastern Libya and the Sinai. Jamal tells Zawahiri that he formed “groups for us inside Sinai,” which is an especially interesting revelation given that some jihadist groups there have openly proclaimed their allegiance to al Qaeda. He also describes the Sinai as the “the next confrontation arena with the Jews and the Americans.” In addition to the Sinai, counterterrorism investigations have revealed that Jamal was a leader of the so-called “Nasr City cell” in Cairo and that his network operates elsewhere in Egypt. As with al Qaeda in the Sinai Peninsula (AQSP), I find it curious that the MJN has not claimed any attacks inside Egypt. Jamal’s letters reveal that he has procured a significant amount of arms at great expense, including rockets, from Libya and has transported them into the Sinai. Who is using these arms today? What are Jamal’s operatives, many of whom remain at-large, doing today? I surmise it is likely that the MJN is cooperating with other jihadist groups in the Sinai. The MSC operates in both Gaza and the Sinai. The MSC claimed responsibility for a June 18, 2012, cross-border attack in Israel. One Israeli civilian was killed during the attack, which targeted construction workers building a security fence. The group identified an Egyptian and a Saudi as the lead attackers. The MSC dedicated the raid to Osama bin Laden and made its adherence to al Qaeda’s ideology unmistakable. “We announce the formation of the Mujahideen Shura Council in the Environs of Jerusalem, as a base for jihadist work… to be part of the global project that aims to re-establish the Caliphate,” the group announced in its video claiming responsibility for the attack. “To the Jews, the enemies of Allah, we say: you should know, you infidels, that the future is different from the past… The time of negotiations and compromises is over,” one MSC member said in the video. Citing “American officials,” The New York Times recently reported that AQAP “has regular contact with jihadist groups in Lebanon and in the Sinai Peninsula.” This is not surprising given that AQAP help establish Muhammad Jamal’s operations in the Sinai and elsewhere. Numerous published reports point to the presence of a significant number of Yemeni militants in the Sinai. It is likely that many of them are working on behalf of AQAP, which has also established a presence in Libya. In August 2012, CNN reported that ten “Yemeni militants” had “infiltrated Egyptian soil two months ago and trained local Jihadi cells in the Sinai Peninsula.” CNN cited a “senior security official associated with Egypt’s North Sinai’s border guards” as the source for this revelation. This anonymous official said intelligence reports showed the Yemenis “were in communication with Jihadist cells in Al Mukataa, a remote area south of Sheikh Zuweid in Northern Sinai.” CNN also cited two Bedouin leaders who were aware of the Yemeni militants’ presence in the Sinai. One of these local Bedouins said that the Yemenis’ had been smuggled into the Sinai from Sudan. In early September 2013, the Associated Press reported that the Sinai “has seen an influx of foreign fighters the past two months, including several hundred Yemenis.” The AP also reported that a Yemeni suspected of serving Ramzi Mowafi, the aforementioned head of AQSP, had been arrested. Three months later, in December 2013, a journalist for Al-Monitor published his account of an interview with a powerful tribesman in the Sinai who said that Libyans, Palestinians and Yemenis were all operating in the Sinai. “There are around 1,000 al Qaeda fighters here in the Sinai Peninsula, operating under the different groups, and a lot of them are foreigners,” the tribal leader claimed. (Estimates of the number of fighters vary greatly.) He also said that several of the major jihadist groups “coordinate and sometimes run shared operations” and they “are affiliated to al Qaeda in one way or another.” In early January 2013, the Daily Beast reported that “Western officials believe that foreign jihadis, possibly from Yemen and Somalia, are among the several hundred extremists operating” in the Sinai close to the Israeli border. Ansar Jerusalem is the most prolific of the Sinai-based jihadist organizations. In recent months, its operations have become more daring and sophisticated. And its attacks have stretched into the heart of mainland Egypt. Noteworthy attacks by the group include: a complex multi-stage assault in August 2011 that left eight Israelis and several Egyptians dead, successful and unsuccessful attacks on Egyptian officials (including car bombings), and the downing of an Egyptian military helicopter in late January. 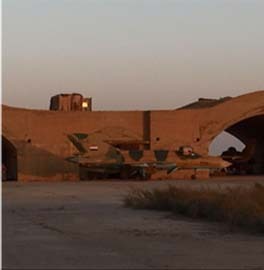 The attack on the helicopter involved a shoulder-fired missile, which indicates that the group’s capabilities have greatly increased since its inception. Thus, counterterrorism analysts cannot know for certain the extent of the group’s operational ties (if any) to al Qaeda’s senior leadership or al Qaeda’s official branches. This does not mean that such ties do not exist. In the past, al Qaeda has groomed organizations and so-called affiliates without recognizing them, at least at first, as formal al Qaeda entities. It could be the case, therefore, that Ansar Jerusalem is already acting as a clandestine arm al Qaeda. We just do not know for certain one way or the other. Late last year, Egyptian officials alleged that a longtime Egyptian Islamic Jihad (EIJ) leader named Ahmed Salama Mabrouk plays a leading role in Ansar Jerusalem. If true, then this is a major red flag. Mabrouk has been a subordinate to Ayman al Zawahiri for decades. He also served al Qaeda after the EIJ became a part of Osama bin Laden’s joint venture. After his release from prison in Egypt, Mabrouk starred at Ansar al Sharia Egypt events alongside Mohammed al Zawahiri. With those uncertainties in mind, a survey of the available evidence shows that Ansar Jerusalem is, at a minimum, pursing al Qaeda’s agenda and al Qaeda’s senior leadership approves of the organization. Ayman al Zawahiri has repeatedly praised Ansar Jerusalem’s operations. And the group routinely references senior al Qaeda leaders in its propaganda videos. This is one reason why the group is commonly described as “al Qaeda-inspired” in the press. The group has adopted al Qaeda’s tactics, including suicide bombings. And there are various other threads of evidence pointing to Ansar Jerusalem’s international ties. My informed hunch is that Ansar Jerusalem has, at the very least, coordinated its activities with parts of al Qaeda’s international network. Below, I summarize some of the evidence connecting Ansar Jerusalem to the al Qaeda network. Ansar Jerusalem distributes its propaganda through al Qaeda’s official online channels. 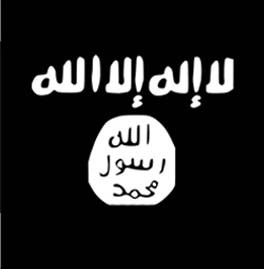 In October 2013, the group issued a statement denying “any connection to any account on social networking pages,” adding that “the only source of our statements and productions are the jihadi forums from al Fajr Media Center (Shumukh al Islam Network and al Fida’ Islamic Network).” Al Fajr is al Qaeda’s propaganda distribution arm, while the other two sites are al Qaeda-accredited. Ansar Jerusalem’s messages are often “stickied” at the top of Shumukh, showing that they are considered important by the administrators on al Qaeda’s top web sites. Ansar Jerusalem frequently includes clips of al Qaeda’s top leaders in its videos. Clips of Osama bin Laden and Abu Yahya al Libi (a top al Qaeda operative killed in June 2012) discussing martyrdom were included in a video honoring a member of the group who had participated in the August 2011 attacks in Eilat. Another video, honoring a suicide bomber who blew himself up inside the South Sinai Security Directorate on October 7, 2013, included an audio clip of Ayman al Zawahiri. Still another video featured a clip of deceased al Qaeda in Iraq leader Abu Musab al Zarqawi. In January 2014, Ayman al Zawahiri directed part of a message “to our people in Sinai.” A clip from an Ansar Jerusalem video, showing a funeral for some of its members, was included in this section of Zawahiri’s message. In July 2012, Ansar Jerusalem issued a video claiming thirteen attacks on the pipeline. Several clips of Ayman al Zawahiri were played throughout the video. The clips show Zawahiri praising the pipeline bombings on at least three separate occasions. In one scene, terrorists are shown planting an explosive device at the pipeline while an audio clip from Zawahiri is played in the background: “Just giving gas to Israel is a crime even if it is for the market price, so imagine that it is below the market price. Thus, it is a crime by Mubarak that is continued by the ruling military council.” As the bomb explodes, Zawahiri continues: “The greeting goes to the heroes who blew up the gas pipeline and who represent the dignity of the Egyptian people. May Allah bless them, until they see the Islamic Caliphate ruling over the countries of Islam. I ask Allah to grant them patience and determination, and to reward them in the best way in this life and the hereafter.” Subsequent clips of Zawahiri in Ansar Jerusalem’s July 2012 video show the al Qaeda master praising the gas pipeline attacks after the “tenth” and “twelfth” such attacks. As I’ve reported, multiple known al Qaeda actors seized upon the anti-Islam video as a pretext to justify protests and assaults on U.S. diplomatic facilities beginning on September 11, 2012. Ansar Jerusalem’s use of the video to justify an attack in Israel is a good example of how the video was used as a pretext, not a true motivation, by jihadists allied with al Qaeda. Ansar Jerusalem blamed Jews for producing the film, even though there was no Jewish involvement in its production. And, in reality, Ansar Jerusalem did not need the video justify its attacks as it struck Israel both before and long after the video became widely known. On January 11, 2013, Ansar Jerusalem released a video in which it once again claimed that the attack in Israel was in response to Innocence of Muslims. The group cited Osama bin Laden as saying, “If the freedom of your expression has no limit, then your chests should bear the freedom of our actions.” This quote, or a similar one, was used by jihadists with known al Qaeda ties to justify the protest-turned-assault on the U.S. Embassy in Cairo on September 11, 2012. Indeed, the Ansar Jerusalem video contains footage from that pro-al Qaeda event. The video also contains an audio clip of Abu Musab al Zarqawi, the former leader of al Qaeda in Iraq who was killed in 2006. On October 15, 2012, Ansar Jerusalem threatened retaliation against Israel for the killing of two jihadist leaders, Hisham al Saedni (a.k.a. Abu al Walid al Maqdisi) and Ashraf Sabah (a.k.a. Abu al Bara’a al Maqdisi). Al Saedni, an Egyptian, was the founder and leader of the Tawhid and Jihad Group, which is, at a minimum, al Qaeda-inspired. Al Saedni reportedly fought with al Qaeda in Iraq. Although he was based in Gaza and even detained for a time by Hamas, the Israeli military accused al Saedni of planning operations from inside the Sinai. His biography shows, therefore, that al Saedni had been a transnational terrorist throughout his career and it is possible that he cooperated with Ansar Jerusalem. There are numerous other accounts pointing to collusion between Ansar Jerusalem and terrorists based in, or traveling to, Gaza. It is possible that the Tawhid and Jihad Group is more than merely inspired by al Qaeda as well. Ayman al Zawahiri released a eulogy for al Saedni, praising him as “our brother.” Zawahiri also cited al Qaeda’s guidelines, which was named as a “Document for Supporting Islam,” and said that al Qaeda had called on Muslims “to unite under the word Tawhid.” Thus, Zawahiri implicitly connected al Saedni and his group to al Qaeda’s plans. Indeed, al Saedni was working to unite jihadist groups in Gaza under one banner. The praise for al Saedni from both al Qaeda and Ansar Jerusalem is yet another example of how the two count the same terrorists among their “brothers.” Both al Saedni and Sabah were reportedly leaders in the Mujahideen Shura Council in the Environs of Jerusalem as well. Badr’s story demonstrates how Ansar Jerusalem is connected to the al Qaeda-led global jihadist network. The video by Ansar Jerusalem celebrating his “martyrdom” says he traveled to Afghanistan and participated “with his brothers in deterring the Crusader campaign against the proud land of Khorasan.” This is a reference to the America-led campaign in Afghanistan that began in late 2001. Badr attempted to fight in Iraq as well, but he “was arrested in Iran, where he was put in prison for about a year,” before he returned to Egypt. At some point, he traveled to Syria to fight Bashar al Assad’s regime, only to return to Egypt once again and become a suicide bomber. This sequence of events shows that Badr managed to fight in three different theaters (Afghanistan, Syria and Egypt), making him a global jihadist. There are still additional details in Badr’s story that connect him and Ansar Jerusalem to the al Qaeda network. Egyptian officials alleged that he was trained by the Muhammad Jamal Network in one of its Libyan camps. And, in late October 2013, Egyptian security sources arrested Nabil al Maghraby, whom they described simply as “a key al Qaeda operative.” Al Maghraby is one of the old school jihadists let out of prison in the wake of the Egyptian revolution. He had been imprisoned for the 1981 assassination of Egyptian president Anwar Sadat, but was freed by a presidential pardon from Mohamed Morsi in 2012. Egyptian authorities described al Maghraby as “a close associate” of Badr. Thank you again for inviting me to testify today. I look forward to answering your questions. This AQ surge may well be the biggest story not yet told. It certainly figures to repudiate the Administration’s line on AQ. No wonder Washington is on the outs with Cairo. Splendid encapsulation of the alphabet soup of AQ gang bangers. The consequential who. In today’s Free Beacon Matt Continetti writes “this is our iceberg” meaning Joscelyn’s litany of bad guys. Continetti speaks of US ‘fecklessness’ in recognizing the threat and formulating policy to counter it. I’m convinced the strategies of the alphabet soup and the origins of our fecklessness are both contextualized in Walid Phares’ book “Future Jihad” on pages 137-150. There find the consequential why of fecklessness.